Besides great tourism investments throughout the city, manufacturing industrial materials mostly for the city’s agricultural development and its needs and orientation to different tourism areas and sectors from big budget companies are attractive for national and international investments for those looking for a virgin market and who wants to settle in. Because of its congress and meeting potential, this is where MICE sector comes in. While most of the countries know and introduce Antalya like a coast line with mass tourism for many years, Antalya will experience 53rd ICCA Congress between 1-5 November while most capitals in the world have not enjoyed and taken chance to host an ICCA congress. Competing with major cities in its category and despite of carrying the disadvantage of being newborn star in congress arena, Antalya has proven enough itself to host the ‘the congress of all congresses ‘. Behind the choice decision for the upcoming congress, Antalya has yet made a great leap forward for calling masses to fill conventions centers and venues for years. The reason behind these formations is quite comprehensible; creating an alternative tourism potential in the city that will last for 12 months of a year. Antalya has been pushing further to make introduce and represent the masses in its delightful venues. Its moderate climate merging with remarkable landmarks such as Yivli Minare, Kaleiçi (Old Town) and Hadrian’s Gates in downtown Antalya and home for many of them scattered through districts and counties of Antalya, the city is the heart of general tourism and becoming a meeting point for the MICE sector gathering people all around the world. 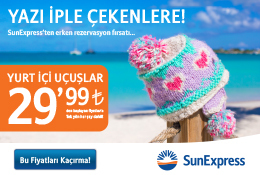 That’s why we say all in Antalya. 53rd ICCA Congress will take place at Susesi Luxury Resort and Cornelia Diamond Resort on 1-5 November in Belek, Antalya expecting more than 1,200 participants.